I few weeks ago I was so moved (yes, moved) by a beautiful A-England Perceval swatch by The Polish Owl...that I ordered it the very same day! Currently I'm swatching the OPI Skyfall Collection; but when this beauty came in the mail I had to switch gears! 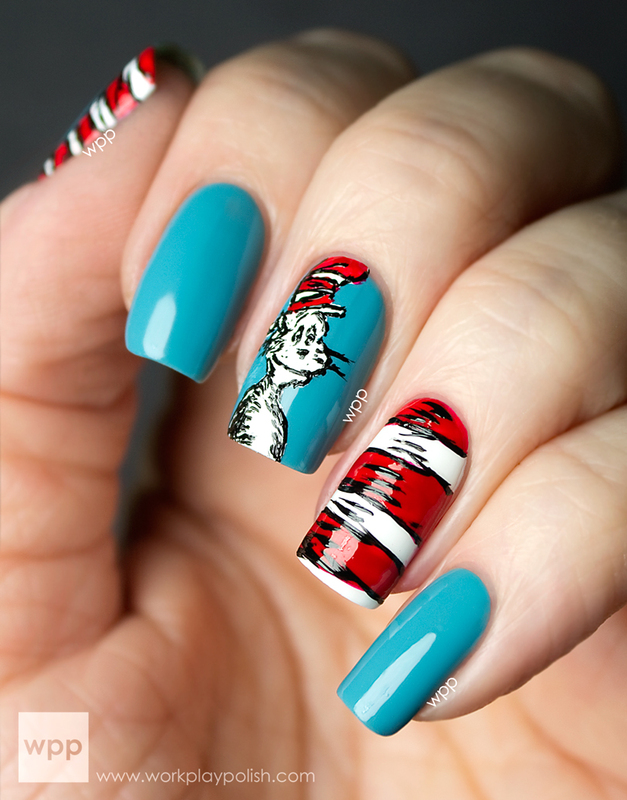 Take a look at this polish. It's like shimmery red velvet in a bottle! 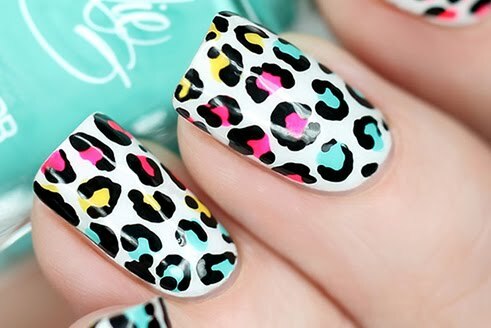 What amazes me most about Adina's polishes is the formula. Now that I have several A-Englands, across the board the formula is a bit thicker than most. But it doesn't effect application. It just goes wherever you put it. No flooding or streaking. Just creamy awesomeness. I easily could have gotten away with one coat (but my OCD forced me to do two!) he he! And no cleanup. None! The Polish Owl said that Perceval glows and she's right. It has almost a slight pink shimmer to it. I'm usually not a big fan of metallics, but this is seriously my new favorite red. It's perfect for the holidays. 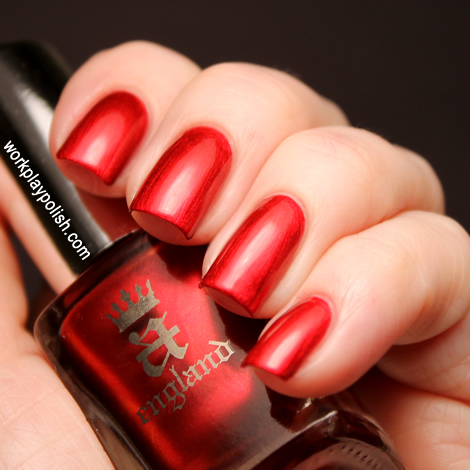 You can buy A-England polishes directly from the A-England Website for 9 GBP each and free worldwide shipping.